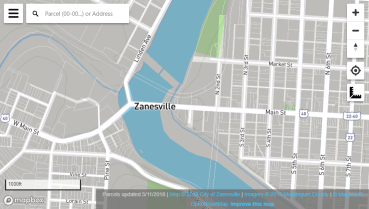 This application shows the measured impervious area for commercial properties in the City of Zanesville. 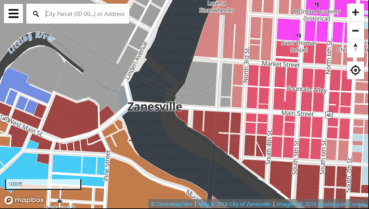 These areas are used to calculate the total Equivalent Residential Units (ERUs) for each property, which is then used to calculate the property's commercial stormwater utility fee. Map data shown here may not represent the latest data available. For questions regarding your bill, contact Utility Billing at 740-617-4916. For questions on area measurements or credits please visit the Stormwater Utility Website, use the contact button or call the Engineer's office. 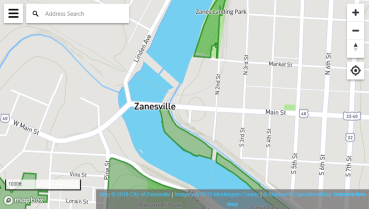 This map contains parks and recreational opportunities in the City of Zaneville and Muskingum County. Clicking on a park will give you information on park ownership and amenities, as well as links to more details about the park. 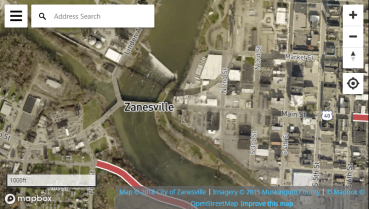 This grant supports the assessment of brownfield properties located within Muskingum County. 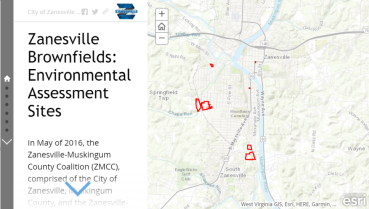 The Zanesville Brownfields Map presents the six brownfield sites which have been assessed through the US EPA grant thus far. This map shows the National Flood Hazard Layer from FEMA. 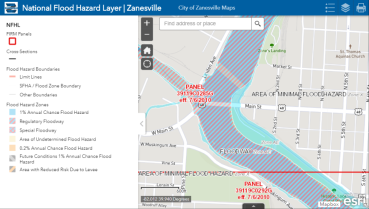 You can download FIRM Panels, check flood hazard zones and more. The data powering the map is served directly from FEMA. For more information on the NFHL check the official website at www.fema.gov/national-flood-hazard-layer-nfhl. 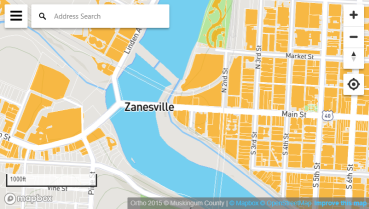 This map shows the latest Low to Moderate Income data from HUD by Census Block Group. 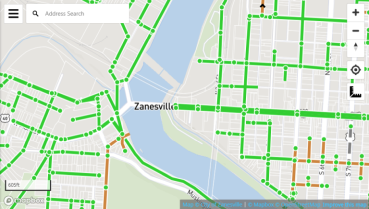 The data is pulled live from HUD and is not maintained by the City of Zanesville. To learn more about the HUD LMISD data visit the HUD Exchange website, or to add this data to your own map visit the map service website. The maps within this portal are in constant development. These maps are not for public release. To find the publicly available maps please visit www.coz.org/maps. 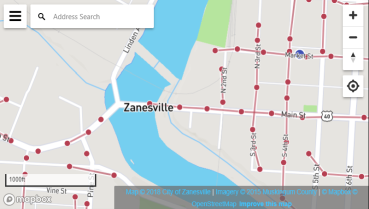 The maps listed under Internal Applications may change over time. 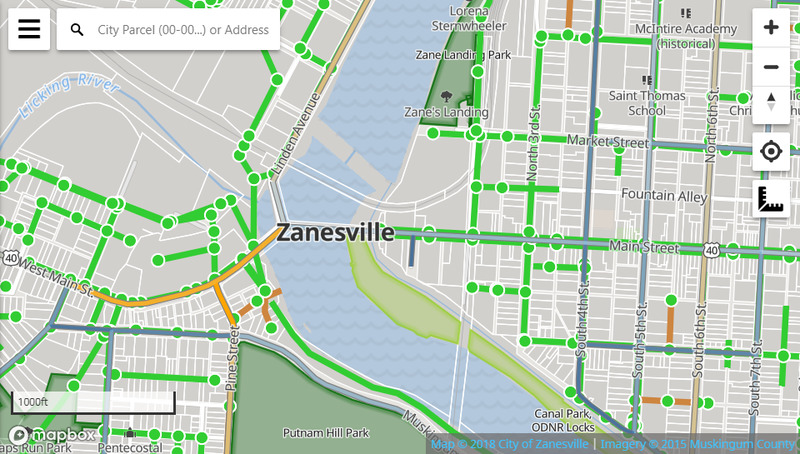 The apps in the Public Map Gallery may get new features but the links should remain the same moving forward. 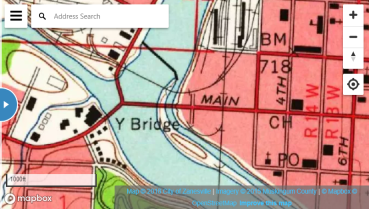 If you are city staff and want to see something mapped, see changes needed in these applications or have any other questions contact the GIS Specialist in the Engineering Division.